The Hunter-Naturalist by Charles Wilkins Webber. Courtesy of the University of Rochester Libraries. Image available on the Internet and included in accordance with Title 17 U.S.C. Section 107. Map of William Walker's Expedition in Nicaragua. Image available on the Internet and included in accordance with Title 17 U.S.C. Section 107. 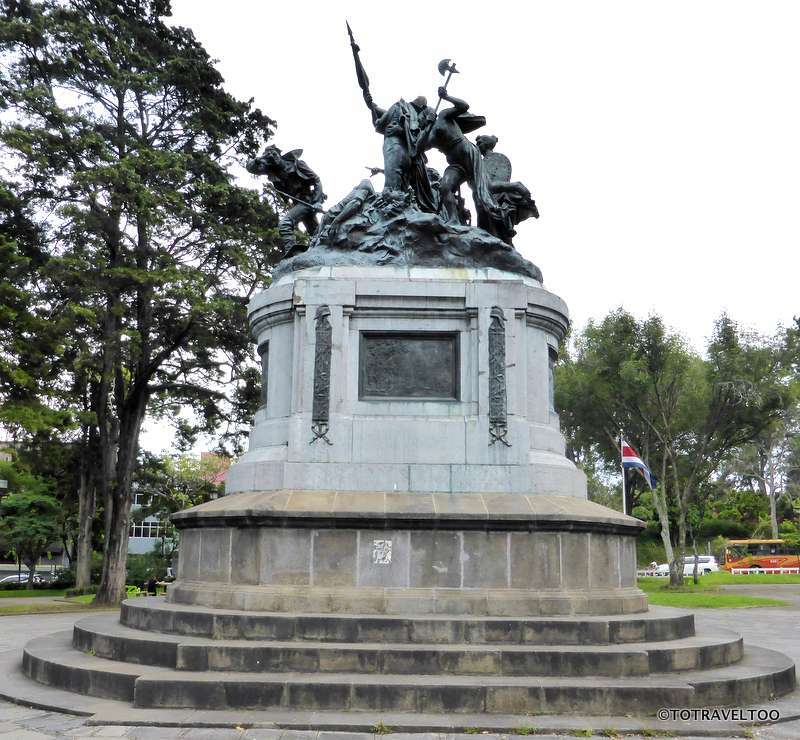 The National Monument in San Jose for the Battle of Rivas. Image available on the Internet and included in accordance with Title 17 U.S.C. Section 107. WEBBER, CHARLES WILKINS (1819–1856). Charles Wilkins Webber, author, journalist, naturalist, and soldier, was born in Russellville, Kentucky, on May 29, 1819, the son of Dr. Augustine and Agnes Maria (Tannehill) Webber. In 1838 he traveled to Texas in search of adventure and there associated himself with John Coffee Hays and other prominent Texas Rangers. His exploits with the rangers over the next two years served as grist for many of his later popular novels and stories. On March 20, 1842, in response to the Rafael Vásquez raid, Webber enlisted in Capt. John P. Gill's company of Col. Clark L. Owen's regiment of volunteers, but failed to see action. Soon after his discharge on June 20 he returned to Kentucky to study medicine for a time. Then in 1843 he briefly studied for the Presbyterian ministry at the Princeton Theological Seminary before moving to New York in 1844 to pursue a career in journalism. There he contributed stories to such magazines as the New World, Literary World, Democratic Review, Sunday Dispatch, and Graham's Magazine, sometimes over the pen name Charles Winterfield. For two years he edited the American Review, later called the American Whig Review. There, too, he renewed his friendship with John James Audubon whose enthusiasm for American wildlife and nature study was to become one of the leading influences on Webber's writing career. In 1849 Webber married in Boston and later that year organized an expedition to the Colorado and Gila rivers of Arizona Territory. When Comanche Indians stole the party's horses at Corpus Christi, however, the venture came to an end. In 1855 Webber secured a charter from the New York legislature to form a camel company to provide transportation in the southwest, but rather than pursue the project he moved to Central America later that year where he joined the notorious American filibuster William Walker in his bid to conquer Nicaragua. Webber was killed in action at the battle of Rivas on April 11, 1856. His best known books include Old Hicks the Guide (1848); The Gold Mines of the Gila (1849); The Hunter-Naturalist (1851); The Texas Virago . . . and Other Tales (1852); Tales of the Southern Border (1852), a collection of Texas Ranger stories; and Adventures with the Texas Rifle Rangers (1853). Dictionary of American Biography. Walter L. Flemming, The South in the Building of the Nation (12 vols., Richmond: Southern Historical Publication Association, 1909). S. W. Geiser, "Men of Science in Texas, 1820–1880," Field and Laboratory 26–27 (July-October 1958-October 1959). Library of Southern Literature (16 vols., Atlanta: Martin and Hoyt, 1909–13). Joseph Milton Nance, Attack and Counterattack: The Texas-Mexican Frontier, 1842 (Austin: University of Texas Press, 1964). Leonidas Warren Payne, Survey of Texas Literature (New York: Rand McNally 1928). 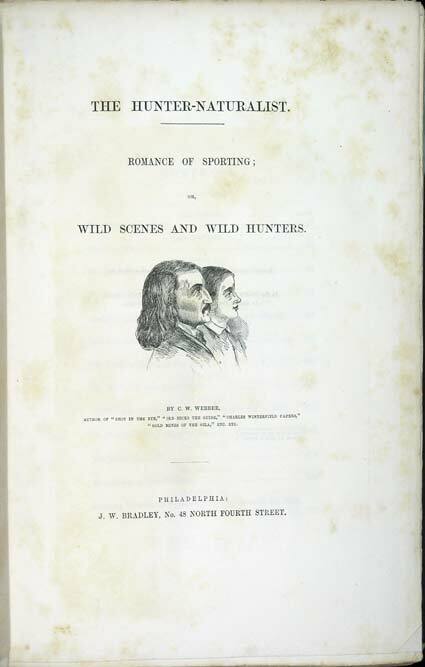 Handbook of Texas Online, Thomas W. Cutrer, "WEBBER, CHARLES WILKINS," accessed April 23, 2019, http://www.tshaonline.org/handbook/online/articles/fwe08. Uploaded on June 15, 2010. Modified on October 17, 2016. Published by the Texas State Historical Association.